We’re sat down with Mike Leitner in one of the meeting rooms in KTM’s new spaceship-looking Motorsports building. 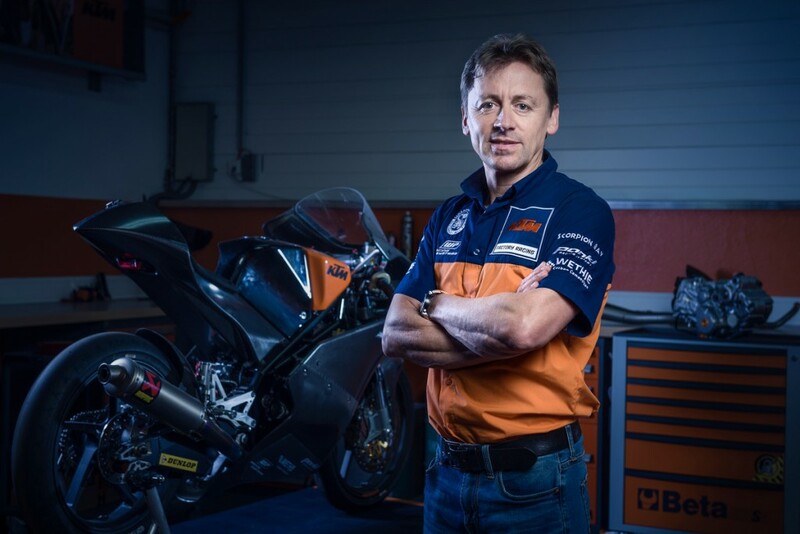 Judging by the constant smile on his face, jovial demeanor and relentless enthusiasm for what is no doubt his toughest professional challenge, it seems that after spending almost 30 years in the MotoGP paddock only six months of retirement was required to recharge the batteries of the 53-year old. Leitner began life in the MotoGP paddock as a rider banging bars in the 125cc World Championship for three seasons (highlight being 10th in 1987) before switching to the spanners in 1992 and beginning a career as a chief mechanic and suspension technician for riders like Ralf Waldmann, Fonsi Nieto, Toni Elias, Garry McCoy and John Hopkins. Before he quit Repsol Honda at the end of the 2014 season, Mike had been chief mechanic for Dani Pedrosa for eleven years, helping him towards two 250cc World Championships and three vice World Championships in MotoGP. Gardening clearly wasn’t enough of a challenge and Mike was then persuaded to return by the excitement surrounding the KTM RC16 project happening ‘practically on his doorstep’ by KTM Motorsports Director, Pit Beirer, and has been responsible for building the team as well contributing his vast experience into technical aspects. What made you interested to return with this project? 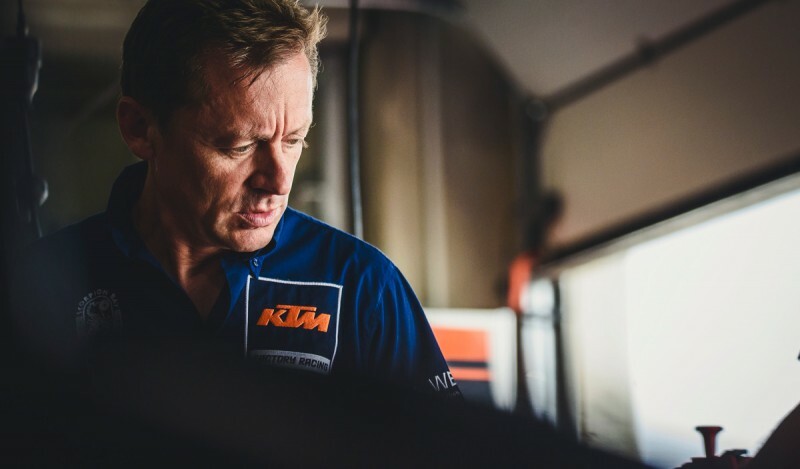 What makes KTM different then? What have been the biggest problems of starting from nothing? 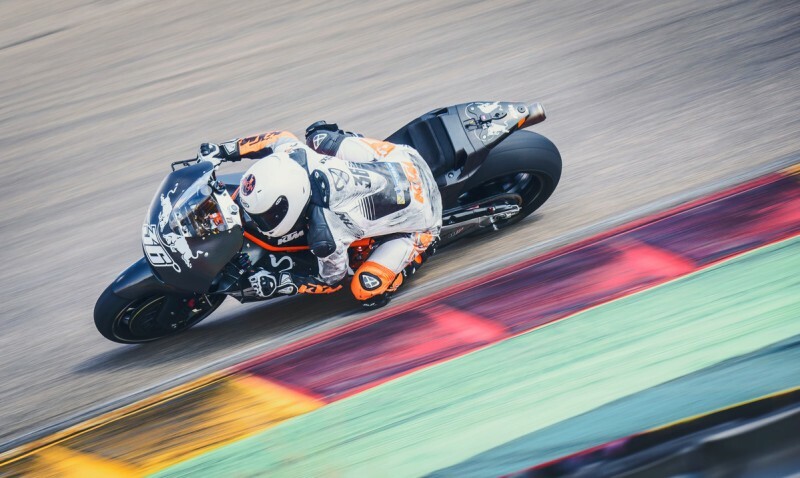 KTM has fielded five test riders since the RC16 was first taken to the track, why so many? How much has the RC16 changed since the roll out in November 2015? What are your expectations for the first year of racing the RC16? How do you think MotoGP will help KTM? 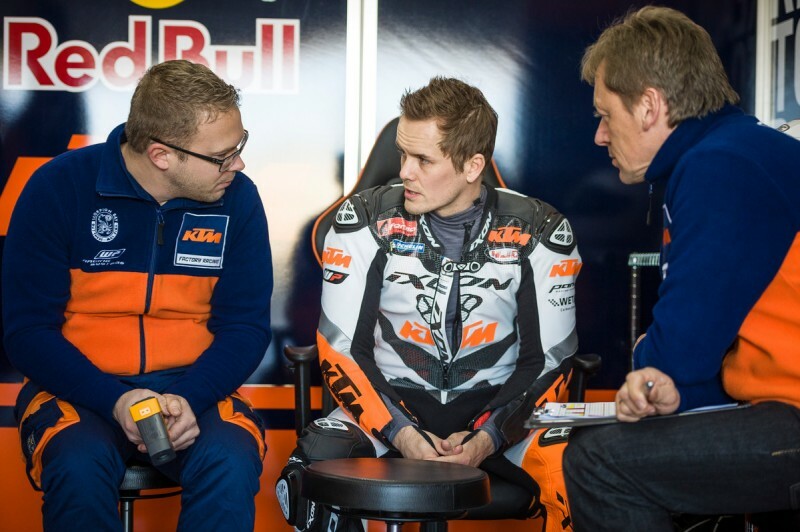 Interesting interview about the future of KTM MotoGP and as the competition will take place. I hope you have good luck face next season and get good results with Pol Espargaró and Bradley Smith. KTM is a great brand that gets to be with the best in the coming years.